Proximity to stage will be determined by the date club registered and paid for its table. More than one club can partner to purchase a table. To access the Grow Rotary! Grow Engagement! Grow Impact resource page click here. It has been an exciting 3 months for our district as current District Governor Gerald Robinson has led a team consisting of our DGE Peter Scott, DGN Roger Paschal, District Governor Nominee-Designate Kayla Christianson, current District Membership Team Captain Steve Cox, 2019-20 District Membership Director PDG Larry Petrash, current Club Culture Team Captain PDG Gene Davenport, AG Lori Fickerling and Training and Technology Team Captain John Pokorny in launching the 3 year Grow Rotary! Grow Engagement! Grow Impact membership development initiative. Our team is in Malawi working to support families after Cyclone Idai devasted parts of Southern African countries of Mozambique, Malawi and Zimbabwe. The crisis is getting worse. It’s still raining, and floodwaters will continue to rise for at least a week. Authorities are also concerned about possible Cholera outbreaks from dirty water. ShelterBox is ready to support families with emergency shelter and other essential items. There are tens of thousands of families with nowhere to call home – with your support, we can help more people. We expect support may include emergency ShelterKits so families can repair or create shelter, as well as water filters and mosquito nets so families can protect themselves from diseases. Right now, we are talking to local partners in all the countries affected to understand how we can help. As Rotary International’s project partner for disaster relief, we’re in close contact with the District Governor for Malawi, Mozambique and Zimbabwe. We're also in contact with Habitat for Humanity, who are talking to affected families in Malawi. Our operations team is watching other weather systems building in the region, which could cause further damage. Our team will be meeting with the District Governor (Hutch Mthinda) on Friday evening to discuss plans. The team will then be reconnecting with Rotarians who assisted us in 2015. Rotary District 9210 is the most affected, covering Malawi, Mozambique and Zimbabwe. District Governor Hutchson Mthinda is in close contact with ShelterBox and has been providing local updates. We have been closely monitoring the impact of the flooding and cyclone across the whole region, which has also affected Rotary District 9400, which covers some of South Africa, Botswana and, crucially, Maputo in southern Mozambique. We are in regular contact with Past President Bruno Maximiano do Amaral of the Rotary club of Polana in Maputo, who has worked with our teams previously and is ready to offer assistance if required. Your help is appreciated. Visit www.shelterboxusa.org/cyclone-idai for more info, Thank you. 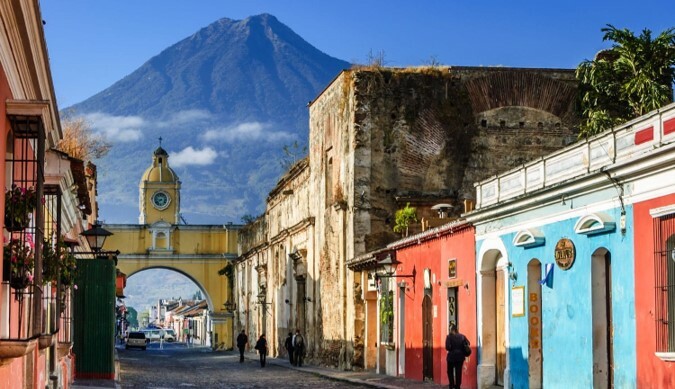 District 5790 will be traveling to ANTIGUA, GUATEMALA this summer for a district wide service project and conference. We hope you can join us! Check out more info on this brochure- CLICK HERE! This email outlines the goals, activities, schedule and costs associated with the project. If you have questions after reviewing this email, please contact us at guatemala5790@gmail.com. We will strive to answer them as quickly as possible. A minimum non-refundable deposit of $150 per person is required ASAP to secure your spot. Contact us ASAP at guatemala5790@gmail.com if you are interested in this trip and have not yet paid your deposit. Room availability is first-come, first-served. Once you have chosen your room preference (below), you will need to make payments of at least $150 per month (per person) in order to secure your room preference. If selecting the option to pay with installments, we will contact you to create the payment schedule specific to your total amount due. The full balance will be due on or before 05/05/18. We encourage everyone to pay the full fee during registration, if possible, in order to assist our Rotary District. We have worked very hard to keep the costs low and as affordable as possible. It should be possible to attend the conference and work on the service project for just over $1,000 or so per person (double occupancy) including airfare. * Alcohol is not included with the meals but may be purchased separately. There are a variety of room types available which will accommodate 2 to 3 people per room. Rates are in USD per person (with two or more people per room). An additional person can be added to some rooms for an additional fee (approx $57 per night). See the registration page for details. NOTE: Rates on the registration page reflect the price for TWO people in the room. You are responsible for air travel to and from Guatemala City (GUA). Sample airfares range from $480 - up from the DFW area to GUA. You may choose to use airline miles or other means to reduce the ticket price Your conference registration fee covers airport/hotel transfer to/from the airport for those arriving on Saturday or Sunday and departing on Thursday. If you choose to extend your stay beyond Thursday June 26, you will need to cover the transportation cost back to the airport. We are working on a group airline fare, but do not have that information yet- stay tuned. A search of flights departing DFW on Sunday 06/23 and returning on Thursday 06/27 shows airfares ranging from $480 to $802. Nonstop flights on American are more expensive than flights with a stop in Mexico City or San Salvador. There will be basically two types of work projects spread across Antigua and local communities. We will send out a questionnaire and details about each project later in order for you to decide where you would like to work. Information is available describing the projects: http://bit.ly/gua-svc-2. We will be working outside of Guatemala City building desks, tables, bunk beds, etc. for the Fastrack At Risk Youth Education/Internship program. There is an allied Rotary project with the Ft. Worth International club planting trees at Lake Atitlan. This would be a great place to extend your stay. Please refer to the Guatemala FAQ for answers to a number of questions. You may contact us at guatemala5790@gmail.com if you have questions not covered in the FAQ. I am currently studying in Tome City, located in the northern part of the Miyagi Prefecture in Japan. Tome has a population around 80,000; and, while there isn’t much to do here, Sendai City is only a 90-minute bus ride away. 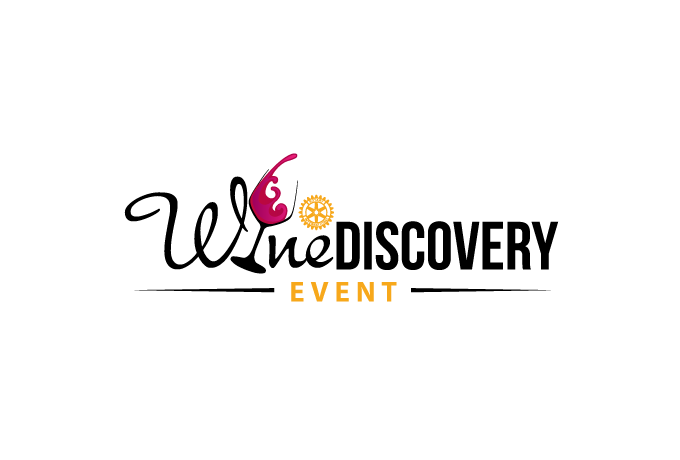 SOUTHLAKE, TX – March 18th, 2019 – Get ready to be transported to vineyards near and far during the 15th Annual WineDiscovery May 4th , 7:00PM to 10:30 PM, at The Marq in Southlake. 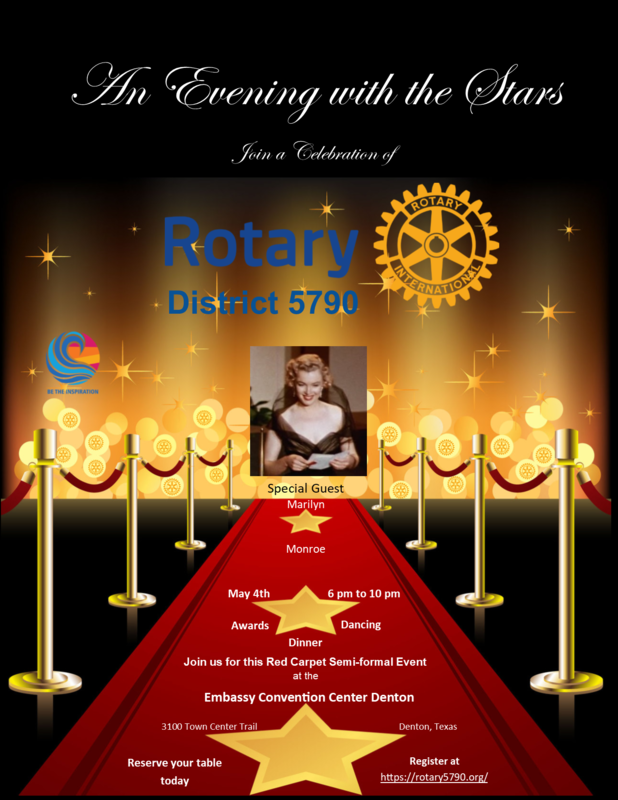 Hosted by the Metroport, Keller and Southlake Rotary Clubs, the event has raised more than $275,000 since its inception for local youth scholarships and community service projects. Guests will enjoy unlimited samples of more than 24 Texas, domestic and international wines – including red, white, port and sparkling – from six local wineries and distributors: Banfi Vintners, Bear Creek Spirits & Wine in Colleyville; El Wine Chateau in Keller; Three Vino in Roanoke; and Off the Vine in Grapevine. Craft beer samples will again be available this year, along with port and cigars on the patio. A wine and craft beer tasting is not complete without food and this year’s culinary sponsors offer fare to complement all varietals: Bonefish Grill, Hook & Ladder Pizza, Howard Wang's China Grill, RA Sushi, The Cocoa Exchange and FnG Eats. Desserts will be provided by Nothing Bundt Cakes and The Ice Cream Place. The evening will include live music and red carpet photos. The silent auction will showcase local goods and services, art, domestic and international travel packages. The raffles have the best odds in Texas and feature first choice of "half of the pot" or custom-designed jewelry by Diamonds & Designs. The majority of proceeds from WineDiscovery are awarded as scholarships to local graduating high school students in Carroll ISD, Northwest ISD, Westlake, Christhaven, and Tarrant County College. Remaining proceeds are used for local grants to non-profit organizations – such as the Roanoke Food Pantry; Metroport Meals on Wheels; Victory Therapy Center to support equine assisted physical therapy; and Gallant Few to prevent veteran isolation – as well as humanitarian projects in Nicaragua, Mexico or Cuba. Tickets to WineDiscovery are available for individuals, couples and groups. They may be purchased online at www.winediscoveryevent.com. For more information, contact Mary MoeGeorgia at 469-964-5187.